One of last year’s star products, together with Samsung Galaxy S3 and iPhone 5, Lumia 920 by Nokia, was officially launched in New York on September 5th and will be distributed worldwide by November this year. Already advertised as “one of the hottest phones for the holidays”, Lumia 920 still raises some questions. This top of the range smartphone has a large display of 4.5 inches (768 x 1280), is equipped with a dual-core Snapdragon S4 processor clocked at 1.5 GHz, and makes use of the new operating system Windows Phone 8. The most innovative features Nokia Lumia 920 brings to its users refer to the wireless charging technology and to the incorporated PureView Camera, which constitutes a great asset to the success of the almost bankrupt Finnish company. Lumia 920’s panel has a very high refresh rate. It is actually considered the brightest HD panel ever and the fastest LCD panel to have ever built on a smartphone. Nokia has not forgotten any group of consumers and they bring a comprehensive range of colors. 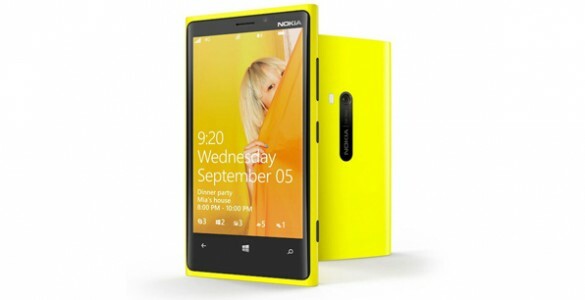 Lumia 920 is available in yellow, red, white, gray and black. However, Nokia will have a hard time to overcome the wide range of iPhone cases available on the market. As far as resistance is concerned, you can rest reassured as the smartphone’s body is made of polycarbonate. Is this a real threat for the highly anticipated iPhone 5? We will have to let time decide. While from a technical point of view Lumia 920 might impress any gadgets lover, it carries the Windows Mobile OS stigma. Another disadvantage comes to the surface when talking about the apps available. During the last years, developers have focused on iPhone and Android apps. Their number and range seems difficult to compete with at this moment, but nobody knows what to expect when dealing with Microsoft.